Spectrum is the custom-made communications platform designed specifically for Star Citizen and its community of players. It is a cutting-edge combination of our Forums, Live Chat and Organization System all in one place, and will ultimately serve as voice communications while playing Star Citizen. You can view and search Spectrum anytime. 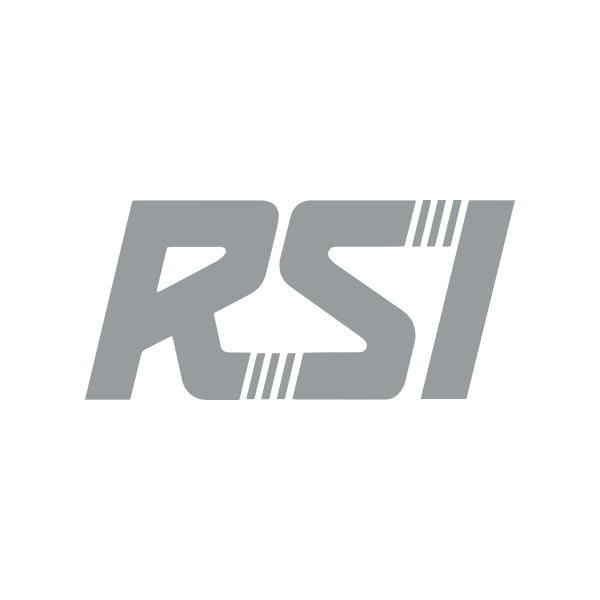 To post, you must login with your RSI account. Where can I view Spectrum? For our initial launch of Spectrum, it will be available for use in web browsers on your computers and portable devices. The browser-based Spectrum is just the beginning of our rollout, as we intend to expand Spectrum not only into a dedicated mobile app, but the Star Citizen Launcher and the game itself, completely unifying the overall Star Citizen experience. Will I be able to communicate with my Organizations through Spectrum? Absolutely! The ability to communicate with your Org is an integral part of Spectrum. In addition to accessing the new Star Citizen Forums and Live Chat lobbies, Spectrum also brings the addition of Organization-specific Forums and Live Chat as well. Within your private Org areas, you will have the ability to create your own lobbies, forum channels, roles and permissions. Additionally, you and members of your Org will have access to rich chat, and eventually voice integration within the game. How do I post topics in Spectrum? We have many different forums to browse, read, and post in. Locate a forum that best fits your ideas and questions. Here are some forums of note! Ask the Devs - Talk with the developers and designers of Star Citizen and Squadron 42. Game Ideas - Have a cool idea for a features, ship, mission, or more? Post them here! Our designers and developers check this forum for your feedback and thoughts. Tech Support - players helping players - If you have issues running your game or find odd issues, check this forum for help. Spectrum Feedback - If you have ideas, questions, or feedback on Spectrum features, post here! After you find a forum, click Create Thread to start a new topic. Please be aware of our forum guidelines. How do I find topics on Spectrum? We have a helpful search and an Advanced Search! Look for the search field on the quick-access sidebar, located on the right-hand side. As you search, topics matching the terms display. Click the Advanced Search option to search deeper and select what you search against. In the Advanced Search, you can change your search terms, select what to search in, look for specific authors by Handle, and more! The results update on the page to open and read. How do I edit my Spectrum settings? Spectrum provides a link and access to modify your Citizen Dossier. This is your personal page. In Spectrum, click the Gear next to your account avatar. How do I edit my profile or Dossier? To edit your personal page, click Spectrum Dossier. Or in your Account, click Profile. How do I join a Chat Lobby? 1. Click on Star Citizen or another Org in the left-hand side bar. 2. Select a Chat Lobby to join. Yes, you can send private messages directly in Spectrum. Private messages are displayed on the left-hand sidebar. Click the + symbol to begin a new conversation. How do I add or remove Bookmarks? You can save your most visited Forums and Chat Lobbies under Bookmarks. Click on Manage Bookmarks to edit what you have saved. Your notifications appear as a temporary pop up, as well as in the "bell" icon, located in the top right-hand corner of the Quick Access Sidebar. Click on this "bell" icon to view your Notifications. You can click on Clear All to remove your notification history. You can also click on the arrow to the right of any notification to see options of removing that particular notification or disabling notifications for that thread. How do I receive Friend requests? You can view your friend requests in the quick-access side bar on the right-hand side. A friend request notification will pop up at the bottom of the screen and at the top right-hand corner of the quick access sidebar as a yellow dot. You can send friend requests to add other members to your friends list. Click on the Add Friend button in your Spectrum settings, under Friends. You can view sent friend requests under your Spectrum settings. In this example, there are 3 pending friend requests. You can remove friends by clicking the unfriend button under a user in your Spectrum settings. What is the MOTD feature? The MOTD or Message of the Day is displayed as a header when you first enter a chat lobby. How do I edit the MOTD? You can create and edit your own MOTDs in your own chat lobbies. Click on Edit MOTD in the heading of the channel. This opens up a box that allows you to edit your message of the day. You can click on a citizen's or friend's profile and see the Block option. Once blocked, the user can continue to send private messages to you, but you will not receive them. You will not see reactions from blocked users. The blocked user also will not be made aware that you have blocked them. In Spectrum settings, click on blocked users on the left-hand sidebar. Find the user you wish to unblock. Click unblock to the right of the user's name. Is development done on Spectrum? This is only the beginning! This first iteration of Spectrum has the features necessary to replace our existing Forum and Live Chat platforms, but Spectrum will continue to receive weekly update builds that not only address bugs but add new features to the platform. We will continue to improve and expand the features and functionality of Spectrum alongside our games. We plan to support voice chat, in-game integration, and a variety of quality-of-life improvements over time. You can help to make Spectrum better by reporting bugs through the Issue Council. Is there voice chat in Spectrum? Not yet! We are developing voice chat for a later release. We feel that once voice chat is launched, Spectrum’s integration within Star Citizen will make it the obvious choice for communicating with your friends both in and out of the game.